Duck Island Guest Body Lotion 250ml Pack 20.. 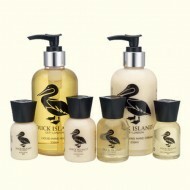 Duck Island Guest Body Lotion 30ml Pack 200.. Duck Island Guest Body Lotion 5ltr Refills Pa.. Duck Island Guest Conditioner 250ml Pack of 2.. Duck Island Guest Conditioner 30ml Pack of 20.. Duck Island Guest Conditioner 5ltr Refills Pa.. Duck Island Guest Double 250ml Bracket Each F.. Duck Island Guest Embossed Soap 40g Pack 400.. Duck Island Guest Moisturising Hand Cream 250.. Duck Island Guest Moisturising Hand Cream 5lt.. Duck Island Guest Hand Wash 250ml Pack 20.. Duck Island Guest Hand Wash 5ltr Refills Pack.. Duck Island Guest Presentation Tray only Pack.. Duck Island Guest Shampoo 250ml Pack 20.. Duck Island Guest Shampoo 30ml Pack 200.. Duck Island Guest Shower Gel 250ml Pack 20.. Duck Island Guest Shower Gel 30ml Pack 200.. Duck Island Guest Shower Gel 5ltr Refills Pac.. Duck Island Guest Single 250ml Bracket Each F..